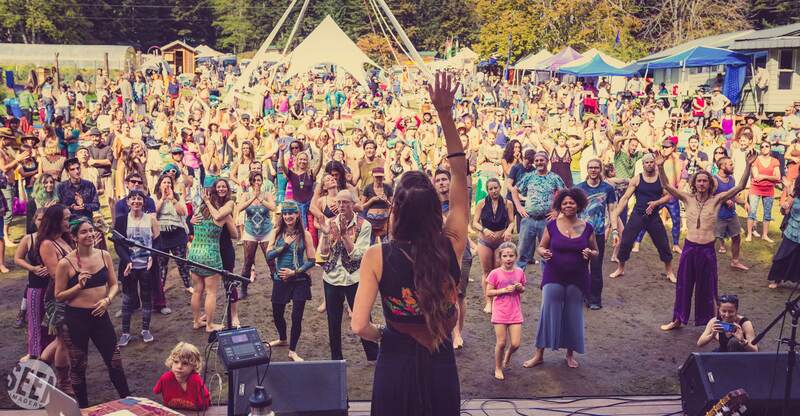 In the light of the Lunar Eclipse, 500 people gathered in the exquisite beauty of Doe Bay Resort on Orcas Island to dream together, to celebrate the gift of this life, and transform through dance, art, music, magic, and connection. 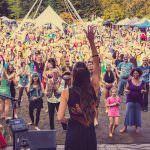 Many of us from OneDoorLand made the pilgrimage across the Pacific Northwest, bringing our creative offerings to the collective fire of Imagine Music & Arts Festival. 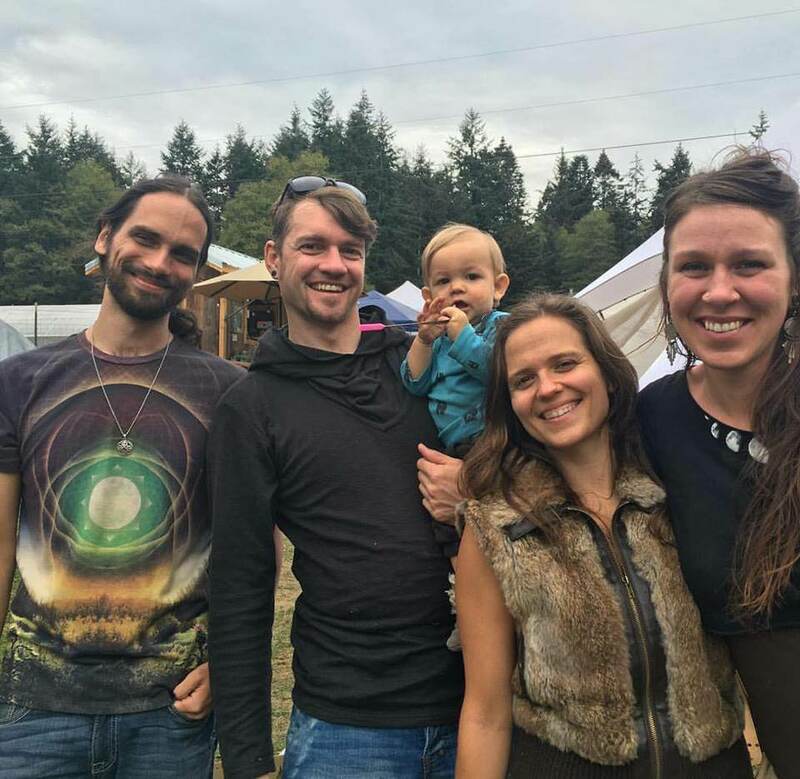 Many karmic lines came to their completion, as our family of musicians, artists, tea monks, and storytellers gathered at on Orcas Island to honor those we have lost, purify our path, refine our skills, and step forward into the light of a new chapter of our Life. This last week has been a profound journey for all of us, and we are grateful to our entire community for witnessing our transformations these last few years. Together we rise to co-create a beautiful world of beauty, love, integrity, and compassion. You can hear more about the planetary archetypal energies present in this recent Eclipse and the Equinox with Amma Li “Gene Key of the Day”. Imagine was a festival like no other. By day, the workshops and main stage held the rhythm for the weekend symphony, closing down for the 10pm sound cerfew, honoring the Island neighbors. 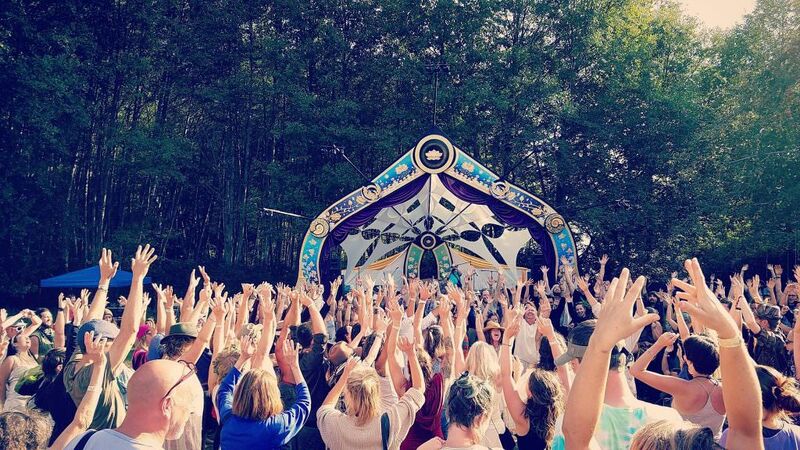 Afterwards, the main stage became a silent disco (complete with wireless headphones) and the rest of the resort became a treasure hunt of intimate, magical experiences. It was a smaller intimate gathering than usual, which allowed the entire festival to gather together for the opening and closing ceremony. As well as march 400 people down to the beach to witness the most miraculous Music, Fire, and Magic performance I have ever seen. 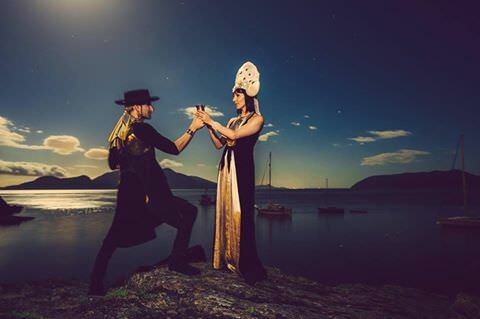 The Divine Marriage was a profound gift to all of us, featuring the soaring angelic prayers of Rafe Pearlman, incredible fire spinners on floating docks, a glowing seahorse boat bearing the Goddess to her wedding. Truly a spectacle of love and magic I was grateful to witness. I’m sure there will be more video and information available in the coming weeks for those who want to know more. It was a miracle to see this festival go through a storm of rain and wind, the powerful purification of the Lunar Eclipse, into the Redemption on the other side. By the time of the wedding, the clouds opened up to reveal a canopy of stars, transitioning into a brilliant Sunday filled with the illumination of the great Fire above. There are no accidents, as the weather and cycles of nature help remind us to trust in the alchemical process of life. OneDoorLand was subliminally injected into every part of the festival, from art and projections to music and magical musings. Our Ambassadors of Life As Art brought forth a full spectrum of magical offerings. From personal transformation and relational healing all the way to prayers of love and compassion for all sentient beings, our alchemical art was a deep prayer of many colors. Center stage, Eric Nez called in the energy of the muse, asking us to listen to the softest subtle currents of her infinite love and beauty. As usual, the ritual of an art vigil is always a unique challenge. 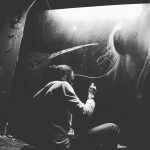 This time, the powerful storm of the Eclipse cut the power, and gusts of wind continued to knock down his precious painting, lights, and delicate tools of artmaking. In the end, art spirit won out, reclaiming enough electricity for Eric to complete his work. The ritual of art takes many forms. 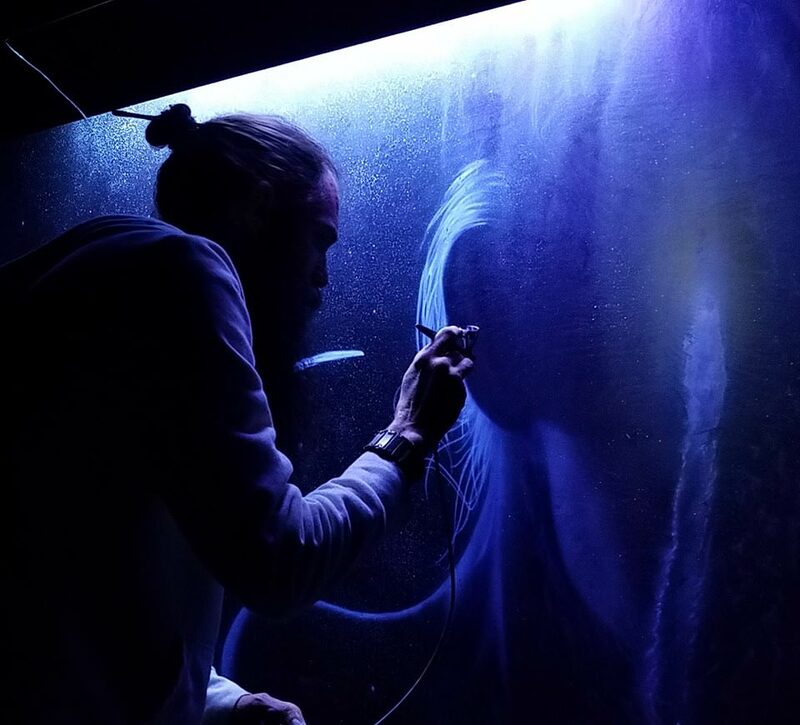 Together Eric Nez and Elijah of OneDoorLand joined together on a Visionary Art Panel with other incredible artists from the Imagine Festival. They spoke of the Alchemy, the Ritual, and the Impact of Art in this powerful time of transformation and revolution. They wove story and prayer into their philosophical commentary on Transmission Art. It was miraculous to witness an art talk dive into the important topics of shadow, culture, personal transformation, and collective evolution. The entire panel was a truly miraculous group to be apart of, each offering a unique connection to the Muse and the purpose of Art. They spoke in front of the Medicine Buddha mandala, a symbol of their shared prayer and a canvas for their new collaboration. The Medicine Buddha Mandala was a painting by Eric Nez, crafted in deep devotion to this incredible transmission of healing, purification, and pure medicine of Resplendent Stainless Light. Elijah then mapped his original fractal mandalas and cymatic projections onto the canvas, for a unique merger of paint and light. The crystalline particles of crushed quartz within the pigments of the painting amplify and reflect the attuned frequencies of light and sacred cosmometry as they dance across the surface of the board. Overtime, this ever evolving mandala reveals parts of the Tibetan Medicine Buddha Mantra, illuminating the magical script and bringing the transmission alive: resplendent light even in the darkness of the night. 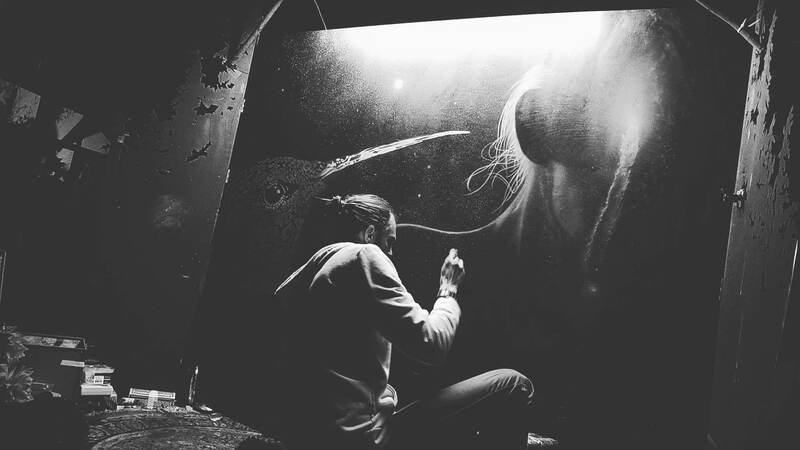 “This collaboration is a great new level of my art. 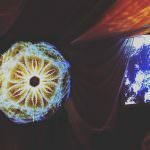 In previous years, I was utilizing these fractal mandalas and cymatic projections for brainwave entrainment at events. We called this work “Sublimianl Phoenix”, inlaying the sound and light with secret tones to help align breathe, heart rate, and brainwave state to a more coherent and beneficial rhythm. Since then, my personal healing journey has moved away from the technological tools of transformation, and deeper into the plant spirit and natural sound healing realms, especially with the transmissions from the Tibetan, Amazonian, Andean, and Taoist traditions. 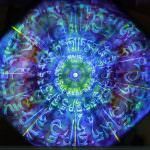 This collaboration with Eric Nez, a fellow Tea Monk and devoted practitioner of transmission art, is an integration of my digital wizardry and my commitment to the clean, lucid light prayers of healing. 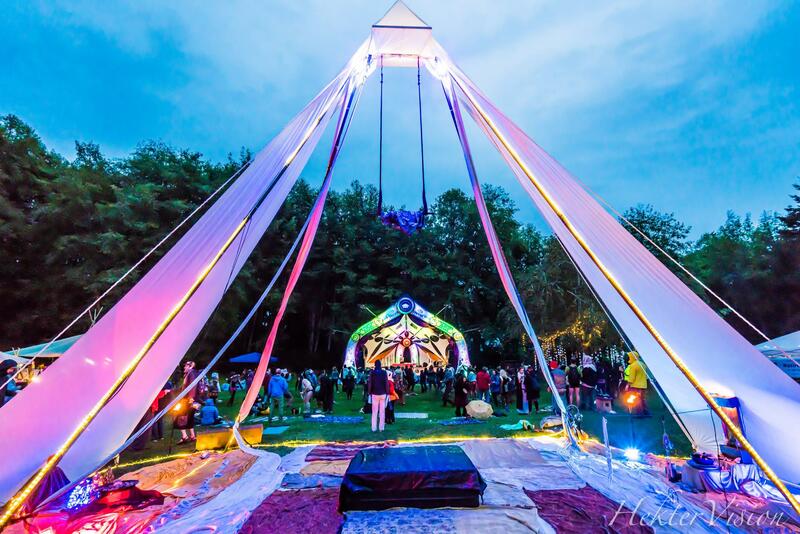 It is incredible to see Subliminal Phoenix revealing mantras, as well as as the binaural brainwave entrainment inherent in the frequencies of light and shape being projected.” This glowing mandala offered its resplendent light through the entire festival at the Council Tent, a place for deep connection and delicious music. 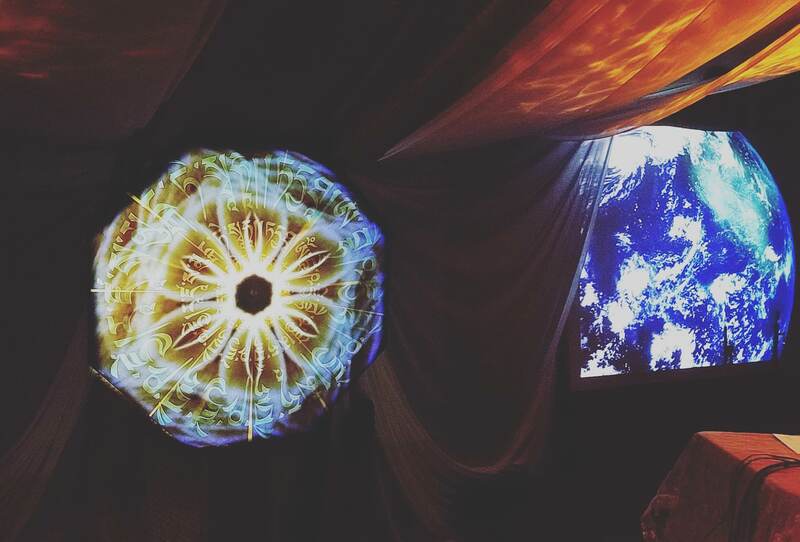 Special Thanks to Everett for his beautiful ambient visuals being projected on either side of the mandala. His live VJ performance was a beautiful addition to each performance. Elijah’s visuals were also being projected on the Main Stage throughout the weekend. 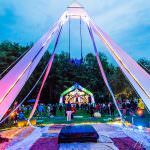 “It was such an honor to get invited by Darin Leong to present these moving mandalas as a part of the main stage. 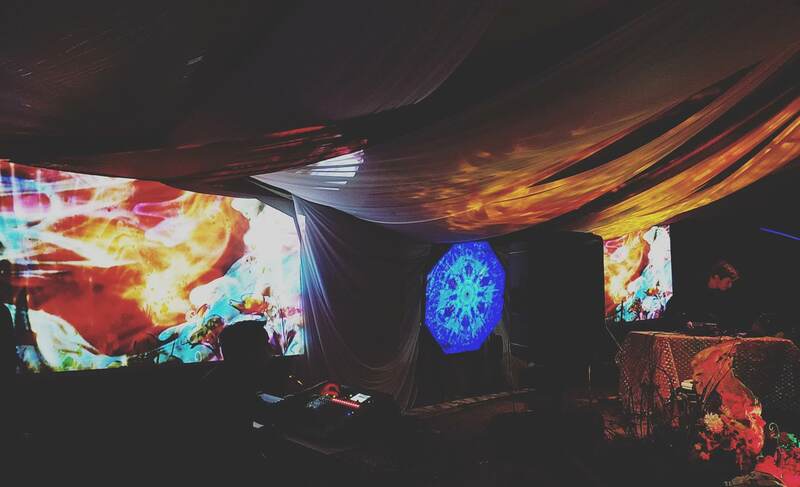 Special thanks to Cameron for setting up these projections, and to all the musicians who played in the glow of this light, and added their sonic blessings to the festival.” You can stream/purchase many of these moving mandalas at www.onedoorland.com/subliminalphoenix. Amma also delighted our senses by singing her glorious voice directly into our ears, through the magic of the Silent Disco wireless headphone set of Utooto. The incredible and masterful multi-instrumentalist Mas produced one of the juiciest electronic/acoustic hybrid sets I have ever witnessed. Weaving Amma and Pepper’s sultry soulful voices with harp and cello. We are all excited to hear the recording of this live set, and witness this project again at future festivals. 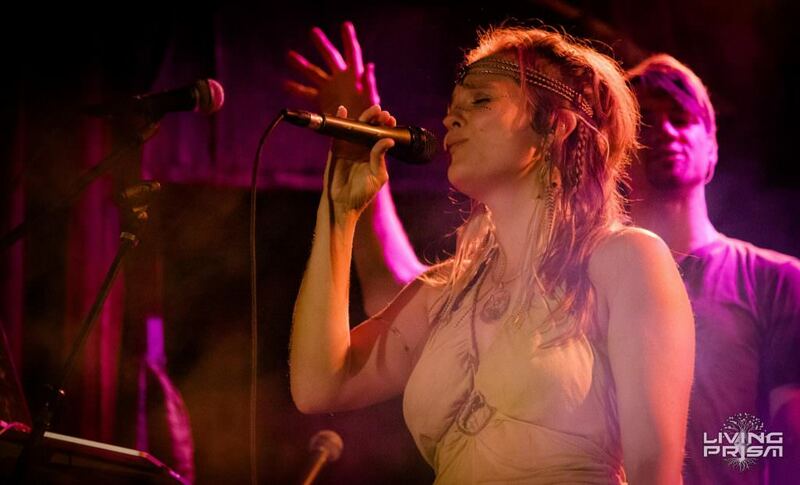 OneDoorLand was also proud to present Water Eye closing out Friday night with an incredible performance, weaving her vocal alchemy and prayerful songs into a tapestry of beauty and grace. Elijah joined her on stage for a few songs from “Water & Light”, bringing in the cascading rythyms and melodies of his handpan into the mix. 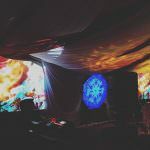 The set ended with a beautiful improv-phetical oracle by Water and a handpan solo by Elijah, weaving the delicious prayers of the entire day and night into a sweet simple subtle current of love. We also want to honor to particularly stunning performances and share links to their medicinal music. Yaima has just released their new single on the upcoming album oVo. Their Friday night set continued to demonstrate the shamanic prowess through the depths of dance alchemy and heights of illuminating music. Every experience with Yaima is a transformational initiation, and this set at Imagine was no different. Thank you to Pepper, Mas, and Jeff for their incredible work and brilliant creative offerings of healing and transmutation. 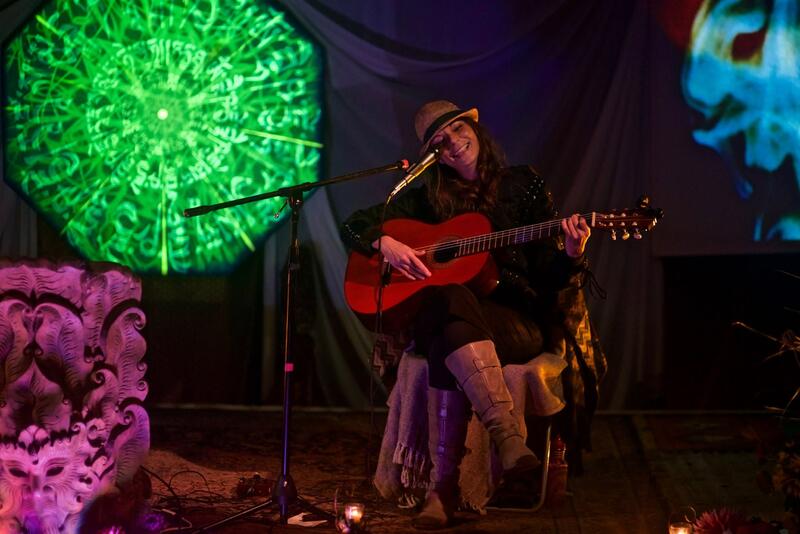 The festival was capped by the solar light and brilliant love of Alya Nereo and Wildlight Acoustic. Witnessing this musician and her incredible songs of healing is a true honor. And to finally hear these songs backed by an exquisite acoustic band added fuel to an already roaring fire of profound music. Special thanks to the poet Drew Blincow who offered brilliant sacred words for the masculine. 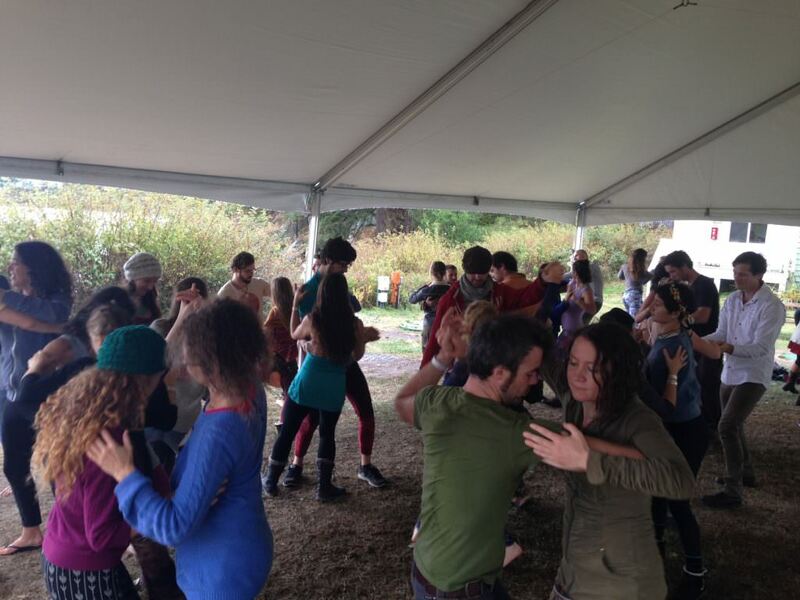 Elijah didn’t seem to sleep that weekend, as he was spotted throughout the festival offering his handpan magic at the Tea Garden and late night main stage jam, culminating in the closing ceremony with Dave Hoover on Harp and Gemini Brett on Sax. “It was an honor to bring this instrument back to Orcas Island. Two years ago I began a healing journey, and asked the universe for one of these portal instruments to join me on my pilgrimage. Being invited to Imagine for my music, only 18 months after “becoming a musician” felt like a powerful initiation of integration. Playing with Dave Hoover, Gemini Brett, and the other musicians who joined in the improv jams were definitely my highlight moments of the whole weekend.” Here are a few video excerpts of improvisational music throughout the weekend. You can hear more music by Dave and Elijah on the NYE Improv Jam album by OneDoorLand, share and support more of this music being produced! 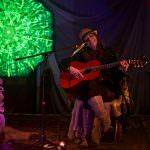 Dave Hoover, the mystical bard of the festival rituals this year, performed on half a dozen performances this weekend at Imagine. Including the bizarre and beautiful performance by Pepper and Katie at the council tent. Stay tuned to OneDoorLand for more releases from this incredible musician. Other OneDoorLandians anchored the physical embodiment side of transformation at Imagine. Michelle Schneider taught her first yoga class, a successful and beautiful practice during the storm of the Eclipse. The momentous weekend was completed with a closing prayer at Diamond Bay in honor of Miss Binah Zing. As we approach her two year anniversary of her portal passing, the waves of energy continue to crest. Sometimes in great grief, sometimes in ecstatic joy and imagination. It has been a powerful time for our community, our family, and for each of us as we continue down this path of life. Binah Zing continues to be a divine inspiration for all of us, and we feel we are doing her legacy proud by shining as a community of art, magic, healing, and inspirational joy. Her dreams were planted here in each of us, and we are grateful to see them sprout, grow, and fruit. It as if her greatest masterpiece lives on in all of us, and we get to remember and honor her at every victorious plunge into the mystery. Thank you Binah Zing for your endless support, infinite love and compassion, and glorious creativity that inspires us to fully live our Life As Art. As a family we gathered in prayer to let go and open to the next chapter of our synergenious life together. Like the true muse, Binah Zing’s ephemeral presence continues to gather us as a family and empowers each individual genius to rise up and give their gifts to the world. You will continue to see beautiful videos, music, and artistic expression of our genius to be shared for years to come. It is our greatest honor to serve through world through authentic truth. Thank you to all of our families and community members who continue to support us in this evolutionary journey we call Life. May all beings be fed and nourished by the eternal love of the universe.